Nice, large apartment (40 m²) in which can be accommodated up to 4 people, category ***, second floor, air conditioning, TV, satellite TV, internet, one large bedroom (exit to the balcony), kitchen connected with large living room, bathroom, washing machine, iron, ironing board, clothes dryer, balcony (5 m²), beautiful sea view, table and chairs on the balcony, nice garden, garden shower, private parking, grill, sunbeds on the beach, smoking is allowed in the apartment. Kitchen equipment: kitchen utensils and tableware according to the number of persons, refrigerator (40 L), gas-electric kitchen, microwave, coffee maker, freezer (10 L). Washing machine, service on request (included in the price). 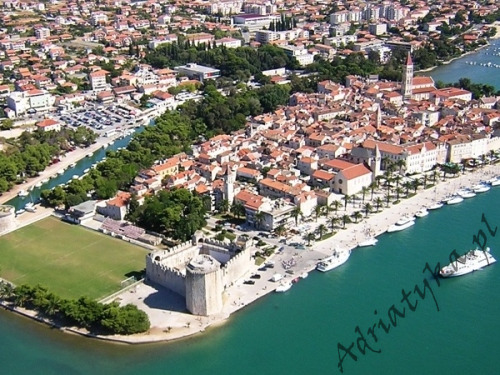 Distance to the bus stop is 1 km, distance to the train station is 12 km (Kastela), distance to the nearest airport is 6 km Split (Trogir), distance to the nearest ferry port is 30 km (Split), distance to the main road is 20 m, distance to the nearest exchange bureau is 1 km, distance to the cash point is 1 km, distance to the restaurant is 300 m, distance to the grocery store is 300 m, distance to the petrol station is 2 km. Very nice rocky / pebble beach, distance to the beach is 50 m, distance from the sea is 50 m. In the vicinity there are many other very nice beaches. 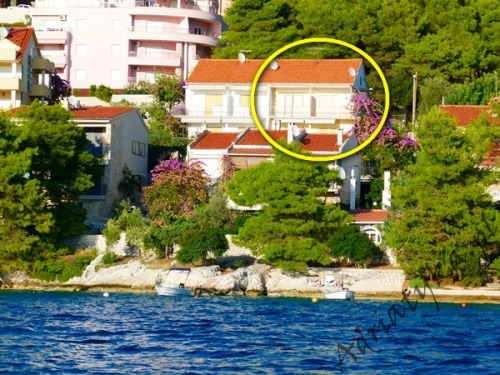 The apartment is located on the second (last) floor of a nice, situated very close to the sea building (about 50 m). 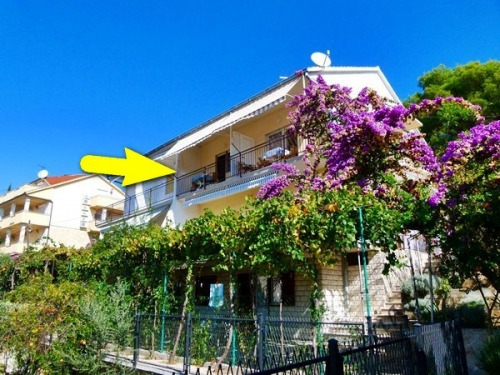 Guests have at their disposal internet, private parking, private beach, sunbeds on the beach, balcony with beautiful sea view, table and chairs on the balcony, nice garden, garden shower and grill. Sunbeds on the beach (included in the rental price). Check-in after 12:00 h., Check-out till 10:00 h.